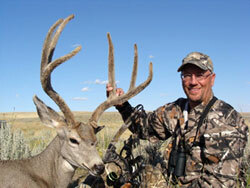 At 1st Western Adventures we are dedicated to YOU the hunter, to find YOUR trip of a lifetime. This may sound cliché, but as hunters ourselves we know what you expect. With many years of booking, hunting and guiding experience we can help you book that once in a lifetime hunt! We want to be your hunting agent! At 1st W.A. we would not recommend an outfitter if we wouldn’t use them ourselves. We have been on most of our hunts and know what you can expect out of each hunt. Just understanding different drawings is an art most outfitters and consultants are missing out on. Let us at 1st W.A. help with all those little things that will make your trip of a lifetime mean even more. Since we do this everyday we are confident that we are the best at what we do—matching you to your dream hunt. ALL THIS, AT NO ADDITIONAL COST TO YOU!